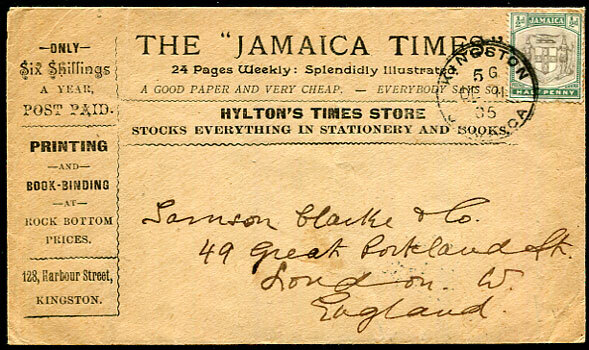 1906 THE "JAMAICA TIMES" advertising cover with ½d Badge of Colony tied Kingston 5G/DE 11 95 to London, England. 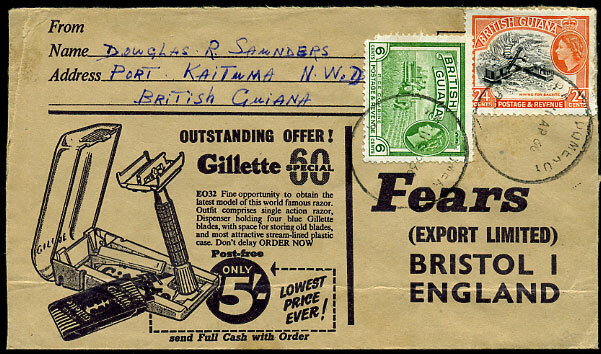 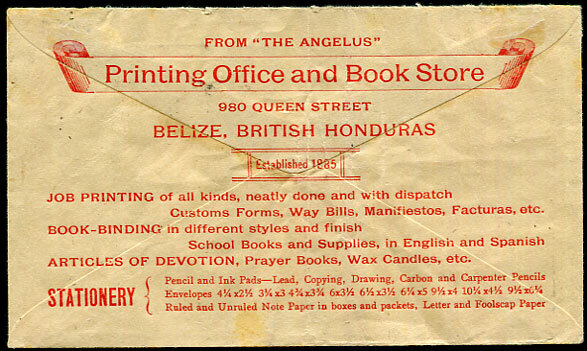 1935 advertising from "THE ANGELUS" Printing Office and Book Store on reverse KGV 4c, 5c, 10c rate cover pmk'd Belize 16 DE 35 to Southampton, England. 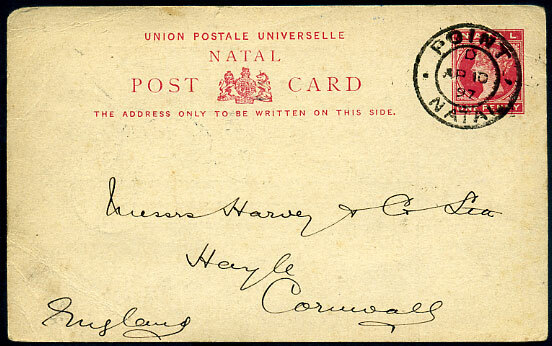 1858 unusual local cover to Dorchester N.B. 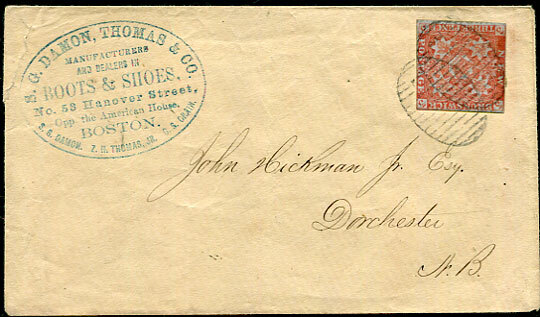 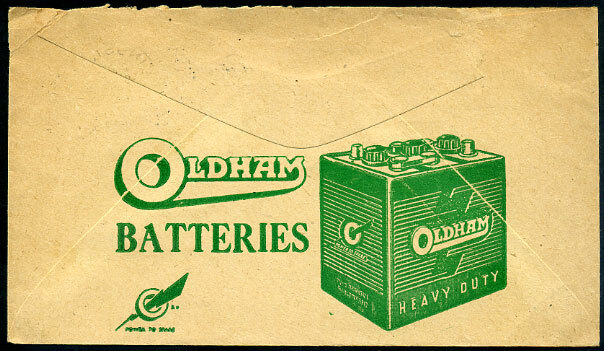 with 3d tied grill ovals with blue S.G. DAMON, THOMAS & CO. advertising oval, backstamped ST. JOHN JU 5 1858 with partial DORCHESTER arrival. 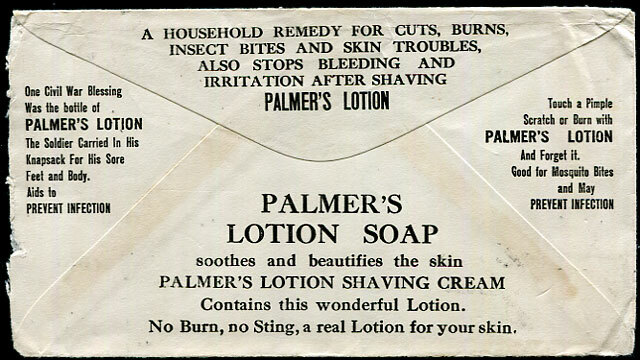 Reverse opening tear justs affects top left corner. 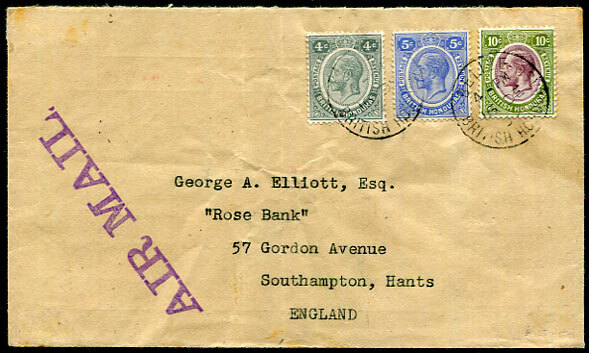 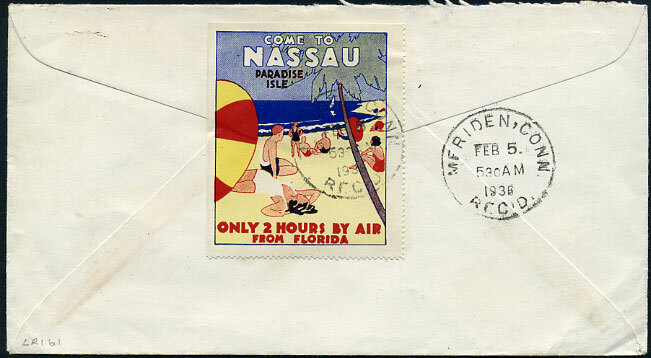 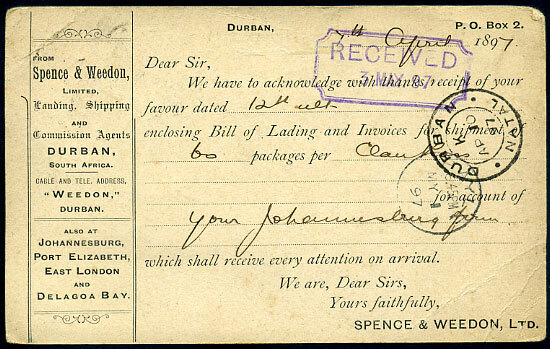 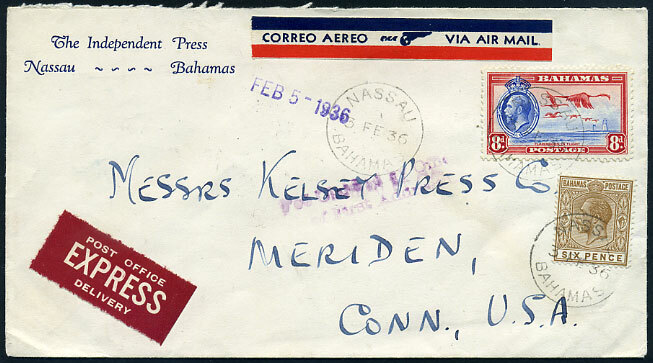 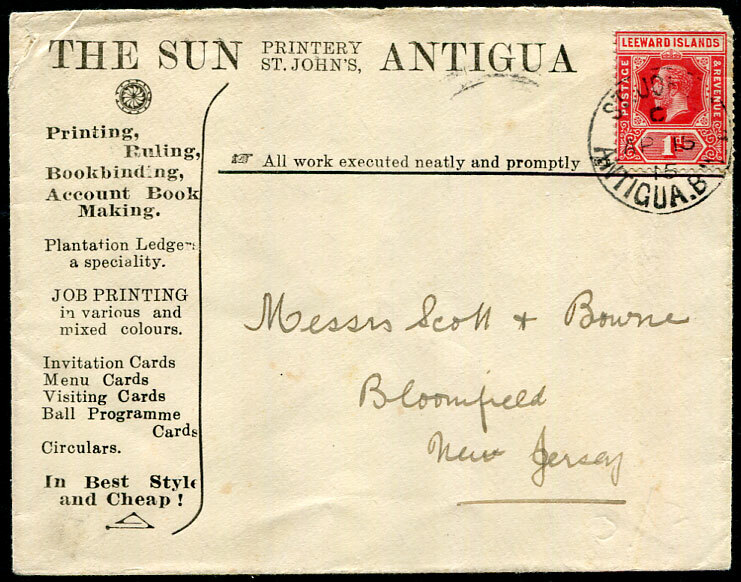 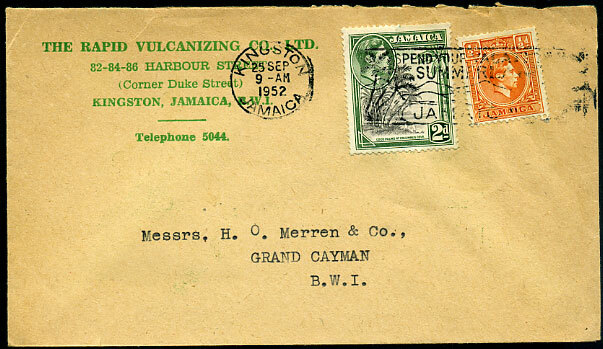 1915 Sun Printery, Antigua advertising cover to New Jersey with KGV 1d (SG.48) tied St. John's C/AP 15 15 cds. 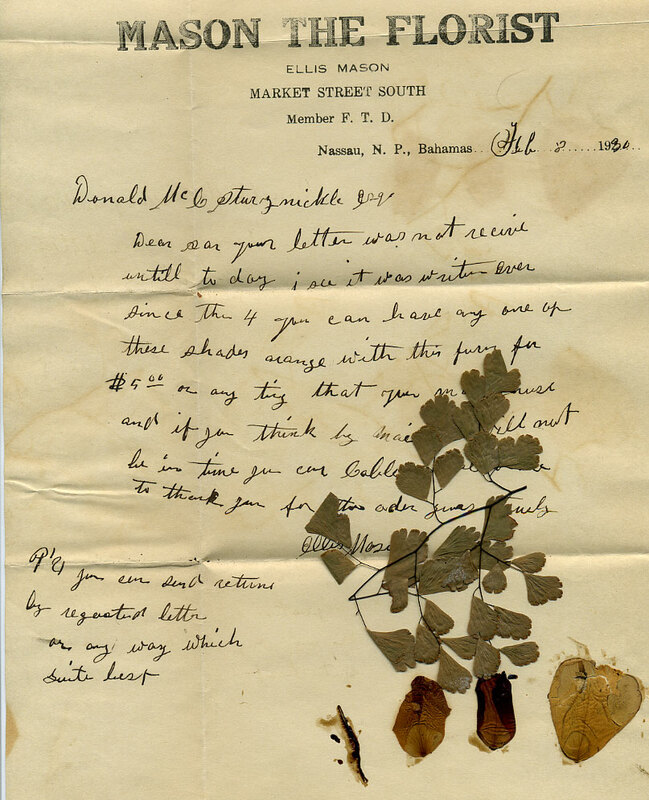 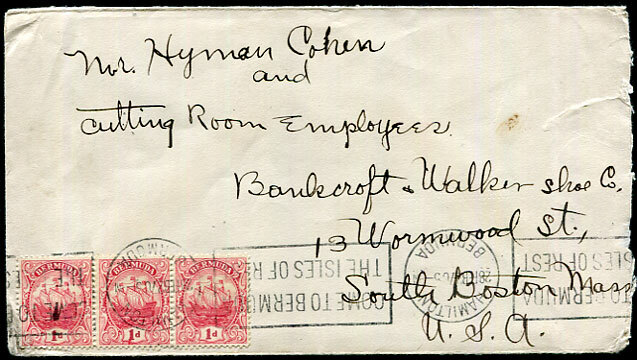 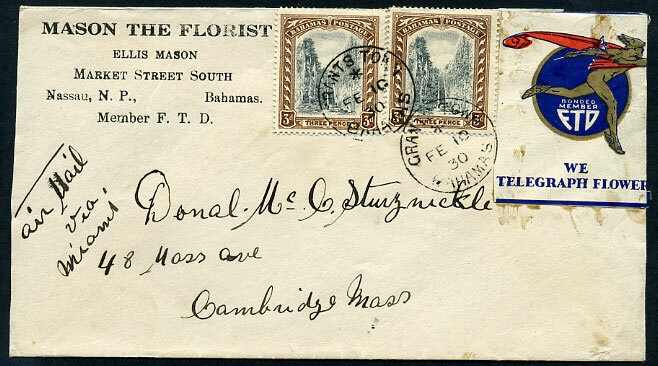 1930 cover from "MASON THE FLORIST" with enclosure with pressed flora and stuck-down petals addressed to Cambridge, Massachusetts with 2 x 3d Staircase (SG.77) and decorative "WE TELEGRAPH FLOWERS" advertising label all tied by GRANTS TOWN */FE 10 30 (Type 5) cds.